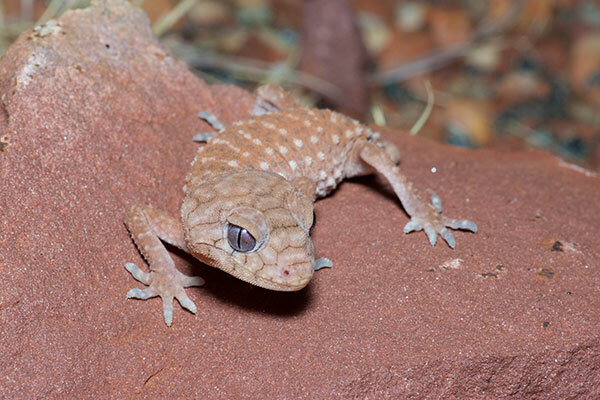 This is the evil-looking cousin of the cutest gecko I've ever seen. The tiny little tail looks like a deformity or injury but is normal for this species. 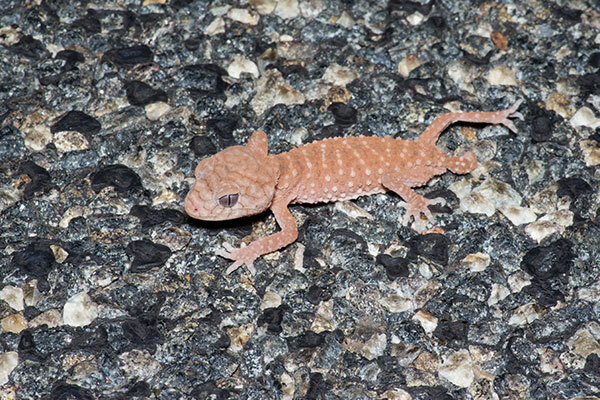 These geckos get quite bulky, and are considered Australia's largest gecko, but the only one I saw was a youngster, just a couple of inches long.